Monday night you are invited to Explore Corning! From 5:00pm – 9:00pm in Corning’s Gaffer District, which is Corning’s downtown (a gaffer is a master glassblower). 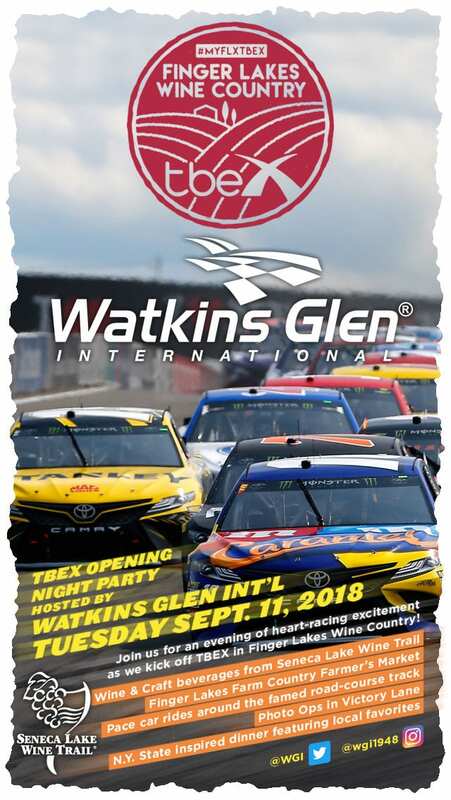 There will be live music, shops and restaurants will be open late, there will be a raffle for gift certificates to local businesses, and a scavenger hunt to win a pace car ride at the opening night party at Watkins Glen International Tuesday night. Look for more information to come in the Facebook group around Sept 7th. Tuesday, Sept. 11th Evening Function: Welcome Night Party 6:00pm – 9:00pm IMPORTANT: Transport to Opening Night Party – All TBEX attendees are highly encouraged take the busses from The Corning Museum of Glass to the Opening Night Party at Watkins Glen International. The race track is located in a very rural area and not easy to find. Conference registration will be open at CMoG until 5pm on Tuesday, so please plan to arrive at CMoG, register, and board the bus by 4:45pm. The party starts on the busses and upon arrival, each bus will make two loops around the famed road course track! Not to mention, the party will feature plenty of local wine and craft beverages, so it’s much safer to take the busses back to CMoG! Wednesday, Sept. 12th Evening Function: Explore Finger Lakes Wine Country! Wednesday night everyone is encouraged to discover all Finger Lakes Wine Country has to offer! Check out www.fingerlakeswinecountry.com/tbex to gather inspiration and to search our events database to make your plans. Need more recommendations? 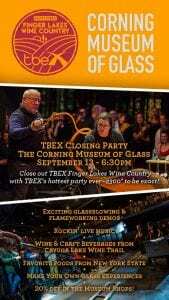 Visit the Finger Lakes Wine Country team in the FLX Pavilion at The Corning Museum of Glass Monday – Wednesday, 7am – 5pm. 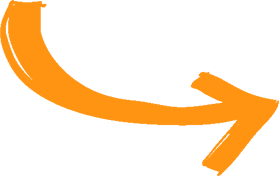 Thursday, Sept. 13th Evening Function: Closing Party 6:30pm – ?? ?